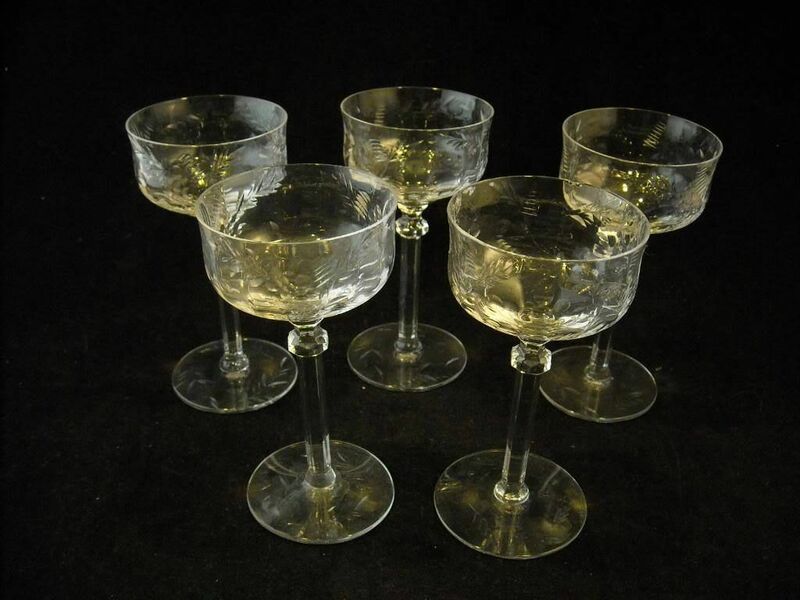 This is a listing for a set of 3 cordial fancy stem glasses. They have hexagonal stems with wide short bowls. They have a floral leaf copper wheel engraving on the bowl and bases. There are some small chips on the laps that can be ground by a glass worker. 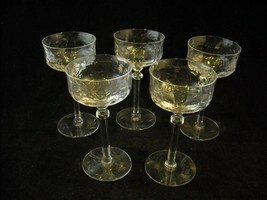 Each glass measures 5 1/8" tall and 2 5/8" in diameter at the top.